This entry was posted on February 4, 2015 by Kathryn Hertzler. Emil and Pony are replicas of Doll I from 1913 and you can imagine them stepping right out of the book "Emil and the Detectives" by Erich Kästner. 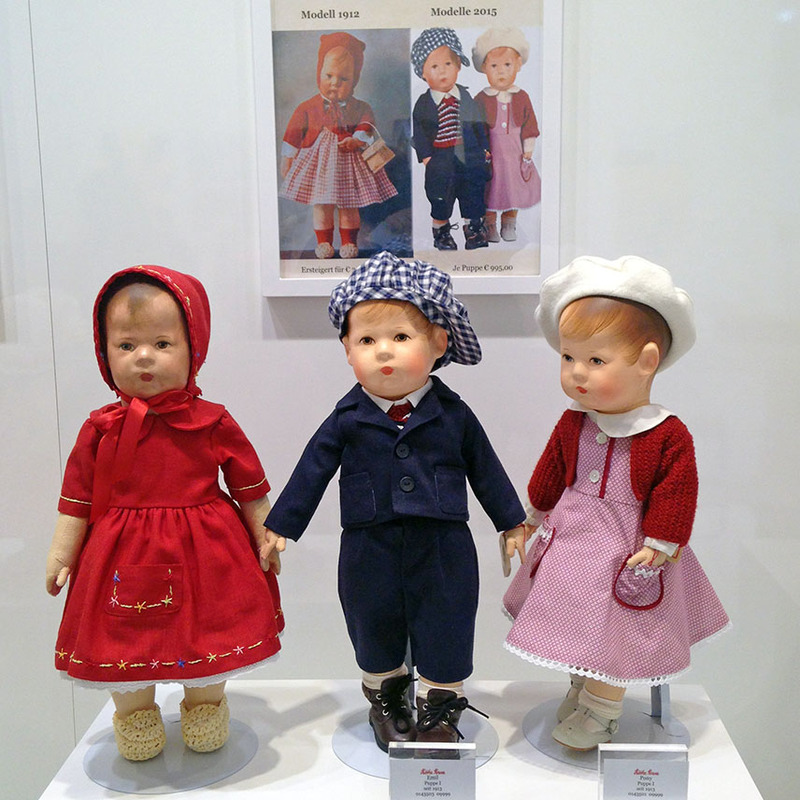 The original Doll I from 1913 and the replica dolls for 2015 Emil and Pony. 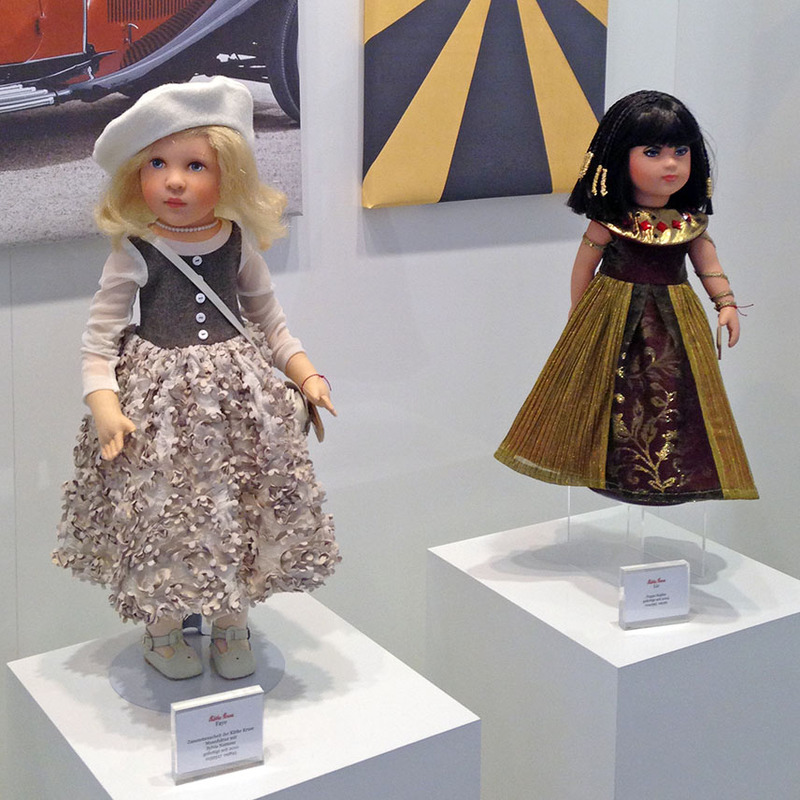 Faye and Liz are fashionable dolls from the movies. Faye is a 21 inch doll and is dressed as Bonnie from the 1967 movie "Bonnie and Clyde." Liz is a 16 inch doll and dressed as Cleopatra from the 1963 film which won four Oscars. Faye is modeled from the movie "Bonnie and Clyde," and Liz from "Cleopatra." 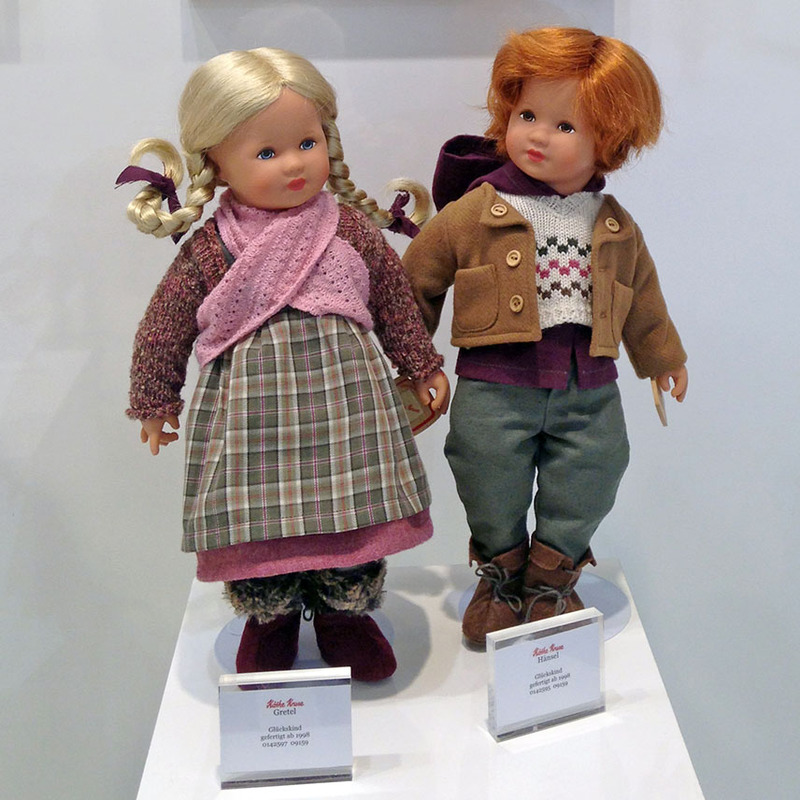 Hänsel and Gretel are 15 inch Child of Fortune dolls, they bring life to the fairy tale. The theme continues with Robert, Zarah, Grace and Mia. Robert is modeled in the Doll XII style and is dressed as in the romantic movie "The Way We Were" from 1973. Zarah is modeled from Doll VIII and dressed as Zarah Leander in the movie "Es war eine rauschende Ballnacht" from 1939. 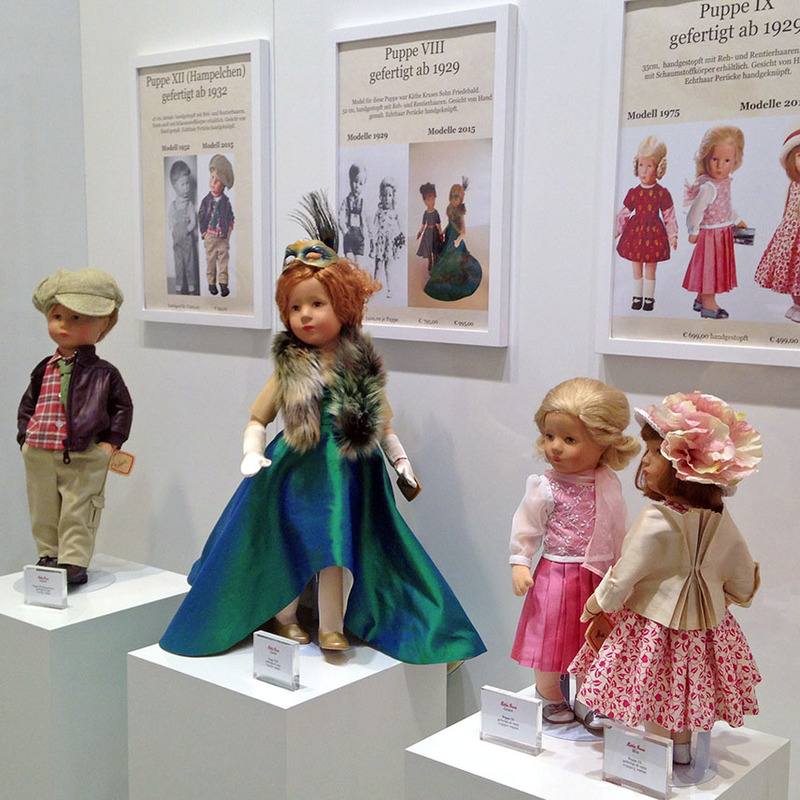 Grace and Mia are modeled from Doll IX first produced in 1929. Robert, Zarah, Grace, and Mia collectible dolls. Also, for 2015, there is a new series of accessory clothing available as shown below.